What’s the Difference Between the Rolex GMT-Master and the GMT-Master II? While there’s no denying that there are plenty of similarities between the GMT-Master and the GMT-Master II watches, there are indeed key differences between these famous Rolex pilot watch collections. 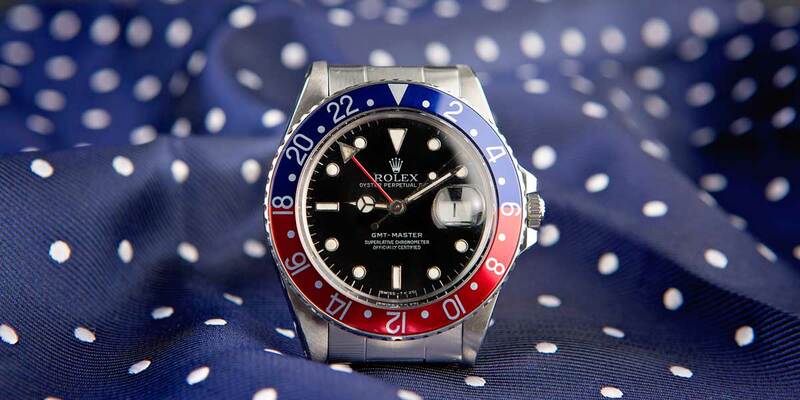 Let’s take a detailed look at one of the most iconic models, the Rolex GMT-Master. The GMT-Master has a long and rich history. 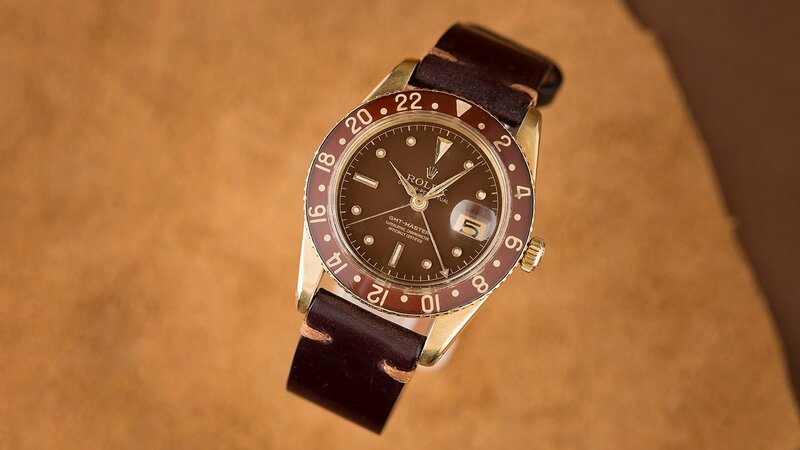 Unsurprisingly, the Rolex GMT-Master came first, with its official release in 1955. As many of you probably already know, the Rolex GMT-Master was built as a tool watch for Pan Am pilots to keep track of two time zones simultaneously as they traveled greater distances across the globe. 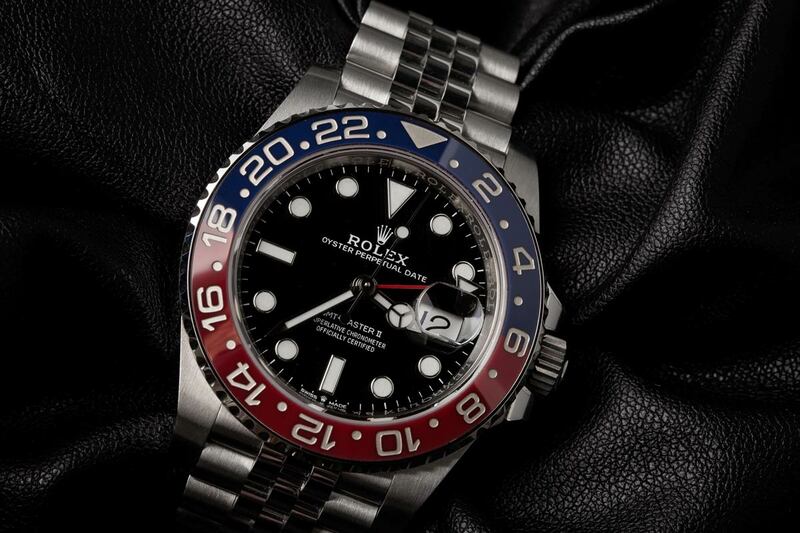 In order to do this, Rolex furnished the GMT-Master with a pair of center hour and minute hands to indicate the local time along with an extra 24-hour hand to display a second time zone by pointing to the 24-hour-marked rotating bezel. On the other hand, Rolex unveiled the GMT-Master II collection in 1982. Although the GMT-Master II would eventually completely replace the GMT-Master collection, there was some overlap in manufacturing among the two collections in the 1980s and 1990s. There are also many iterations of the GMT with unique bezel combinations. At first glance, the GMT-Master and the GMT-Master II may look like the same watch, but if you look under the hood, you’ll soon see that the biggest difference between the two models is the type of functionality the movements inside the watches offer. As we previously mentioned, the GMT-Master allows wearers to read two time zones simultaneously. Conversely, the GMT-Master II permits the reading of three separate time zones. Rolex made this possible by making the 24-hour hand independent from the center hour and minute hands. Therefore, the center hands indicate local time, the 24-hour hand can move freely around the dial to point to the 24-hour bezel for a second time zone, and turning the rotating bezel in either direction can tell the time in a third time zone. Other watches like this GMT-Master Blueberry are incredibly rare and difficult to find. Depending on the specific reference and production period, there are stainless steel, two-tone yellow gold and stainless steel, and full yellow gold versions of the GMT-Master. 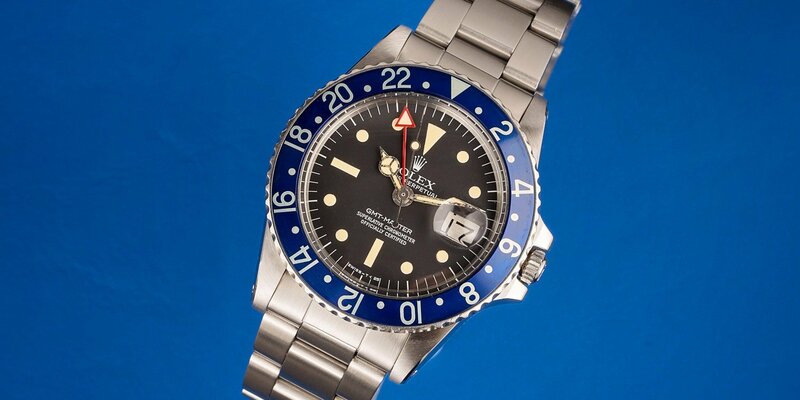 Furthermore, depending on the watch’s case material, there are few different bezels to choose from including (on very early models) Bakelite blue and red bezels, aluminum blue and red bezels, aluminum black bezels, aluminum brown and beige bezels, aluminum brown bezels, and aluminum blue bezels (very rare). Both Oyster and Jubilee bracelets are found on GMT-Master watches. Alternatively, Rolex has offered the GMT-Master II watch in many more material options: stainless steel, two-tone yellow gold and stainless steel, two-tone Everose gold and stainless steel, solid white gold, solid yellow gold, solid Everose gold. What’s more, bezel options are more varied too. Early in the GMT-Master II history, bezels were crafted in aluminum, available in red and blue, black and red, and just black. However, starting in 2007, Rolex began fitting the GMT-Master II watches with Cerachrom ceramic bezels. Today, there are red and blue, black and blue, black and brown, and black ceramic bezels available within the GMT-Master II collection. Many of these watches received a nickname from the general public for its color scheme. Plus, Rolex has also made ultra-luxurious versions of the GMT-Master II watches with gem-set bezels using precious stones such as diamonds, sapphires, and rubies. Depending on the specific reference number, GMT-Master II watches come with either an Oyster bracelet or a Jubilee bracelet. With the new kid on the block, who knows how the market will adjust to this fine timepiece. At the turn of this century, Rolex focused exclusively on making the GMT-Master II collection and discontinued production of the GMT-Master models. And Rolex continues to enhance their famed pilot watch line with new models, materials, and calibers as we saw earlier this year at Baselworld 2018. It’s clear that this is one Rolex watch that will continue to soar for decades to come.